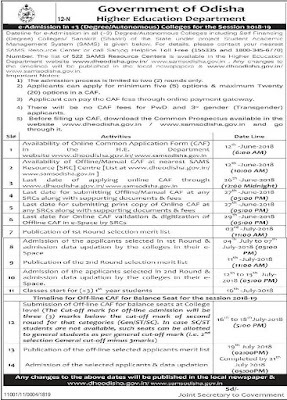 For +3 e-Admission 2018 Candidates can apply through website www.dheodisha.gov.in or www.samsodisha.gov.in. 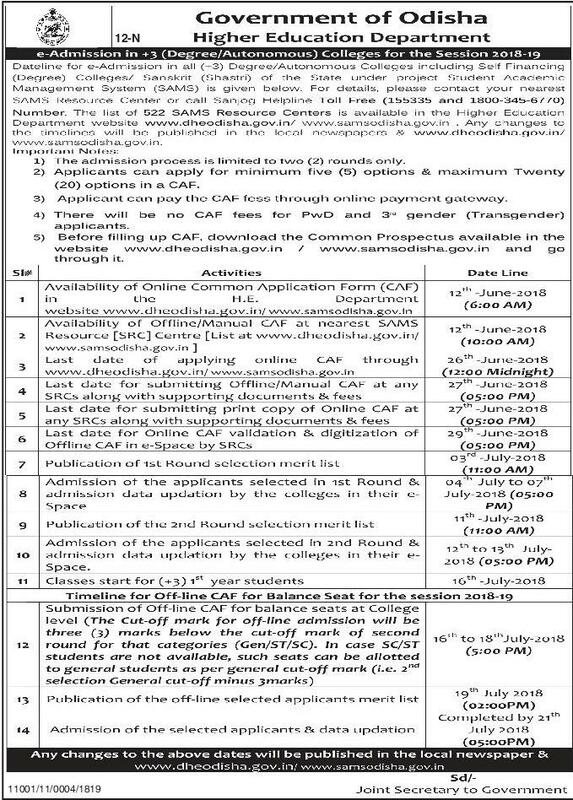 Candidates can apply for +3 e-Admission 2018 Odisha Online of Offline Mode, before you apply download prospectus from www.samsodisha.gov.in and read carefully then apply for your choice colleges. For apply you have +2 or 12th pass minimum qualification.